JMCC can help you reach new audiences!! Here is the best way to stay connected to your customers. JMCC is Reaching around the corner and the globe. Increase your customer base today subscribe to our services. 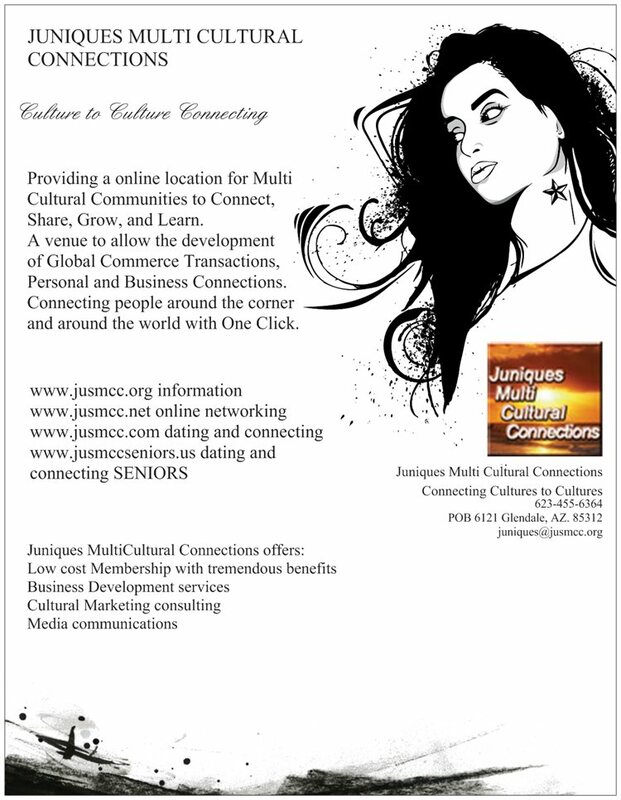 Juniques Multi-Cultural Connections email and direct mail service. Cut your direct mail cost 25%-50%. Online reach thousands. JMCC effectively and efficiently reach multi cultural organizations,companies,agencies, business owners, and consumers by email and first class mail. Just send your name and email address and I will gladly share with you, how to capture your share of the 11 Trillion dollars MultiCultural communities will spend. email to juniques@jusmcc.org subject: I want to cut my mailing cost!